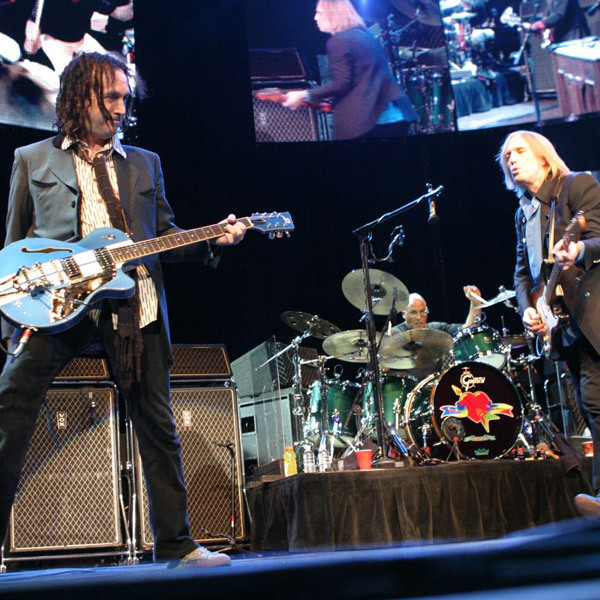 During Pearl Jam’s performance of “Porch” for the Austin City Limits show on October 3, 2009, Eddie Vedder plays this blue Duesenberg Mike Campbell (Tom Petty & The Heartbreakers) Signature TV Guitar. 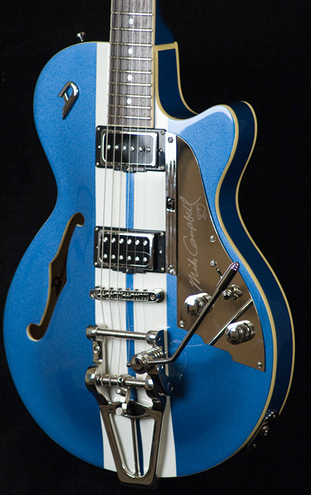 The guitar looks so nice that the crowd starts to cheer for the guitar itself. 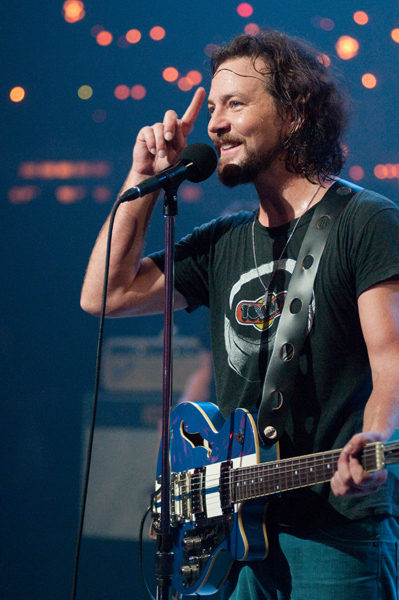 After doing a bit of research I’m pretty sure it was a gift to Vedder from Mike Campbell because the guitar started showing up after Pearl Jam toured with Tom Petty & The Heartbreakers in 2006. 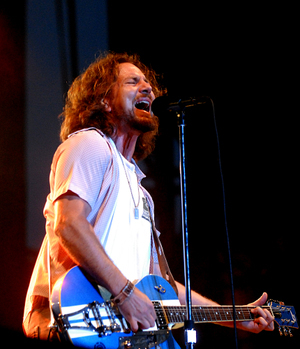 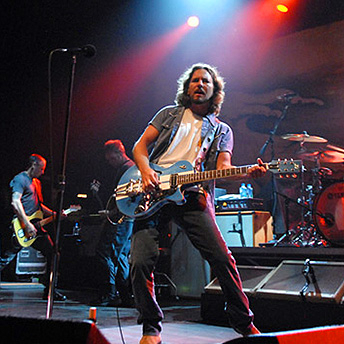 Here’s a few more photos of Vedder playing the Duesenberg Guitar.